Hailed as one of the most energetic, passionate, and respected erhu masters today, Yue (Cathy) Yang studied at the Central Conservatory of Music under the tutelage of celebrated erhu professor Jiemin Yan. 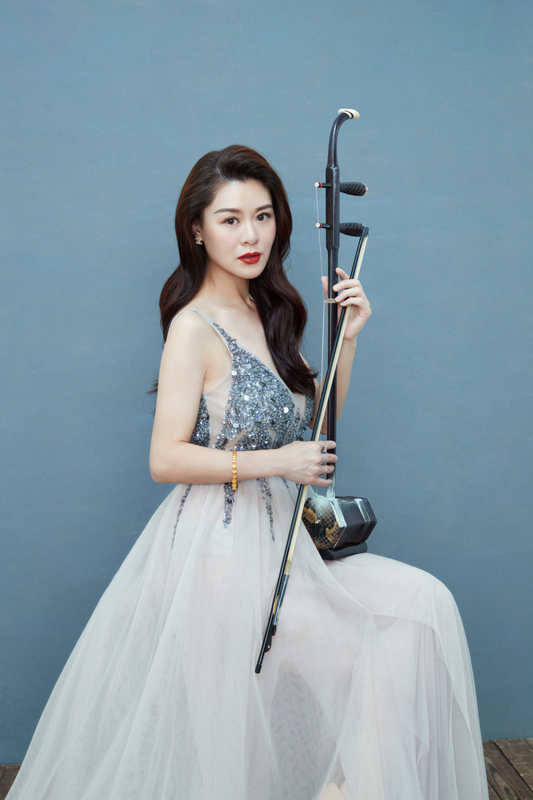 Throughout her music career, Yang has won numerous international and national competitions, including: first prize at the LONG YIN Instrumental Soloist Competitio in 1999, gold medal at the China Ministry of Culture’s annual music competition in 1999, and silver medal at the TIANHUA CUP National Youth Erhu Competition in 2001. After winning first prize in China, Yang launched a truly international performing career. She toured the U.S., Germany, Japan, France, South Africa, Hong Kong and China extensively, making solo debuts with the China Philharmonic Orchestra, Beijing Symphony Orchestra, China National Traditional Orchestra, and University of Delaware Symphony Orchestra, among others. Yang has also performed many recitals in places such as Carnegie Hall, The United Nations’ Headquarters, the Lincoln Center, the Kennedy Center, and City Hall Concert Hall (Hong Kong). Additionally, billions of people around the world have watched her concerts on CCTV, China's most watched TV station. Yang has recently been a featured soloist for Former U.S. Vice President Joe Biden. Besides playing traditional Chinese music, Yang delves into creative and unexpected styles on the erhu. Classical, jazz, funk, bluegrass, Asian folk, and Latin American music compose her distinct repertoire. Whether performing as a soloist or part of an ensemble, her musical selections and vibrant interpretive style make her a musician for diverse people and genres. In this spirit, Yang devotes the 2018-19 season to many new musical endeavors. Earlier this year she toured China with 6-wire, performing Mark Hagerty’s erhu, violin, and percussion concerto, “Beyond These Horizons,” with violinist Xiang Gao and percussionist Chen Zimbalista in major venues, including the Shanghai Oriental Art Center. She will also will be debuting a world premiere of Bright Sheng’s quartet commissioned to the University of Delaware’s ensemble in residence, the 6-wire erhu, violin and piano trio, and cello in New York and Hong Kong this November and in a solo and chamber performance at Carnegie Hall this February. Yang is an active member of “6-wire” a crossover ensemble in residence at the University of Delaware that explores the relationship between the East and West through creativity and virtuosity and is represented by the California Artists Management.